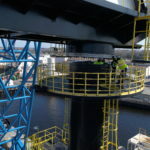 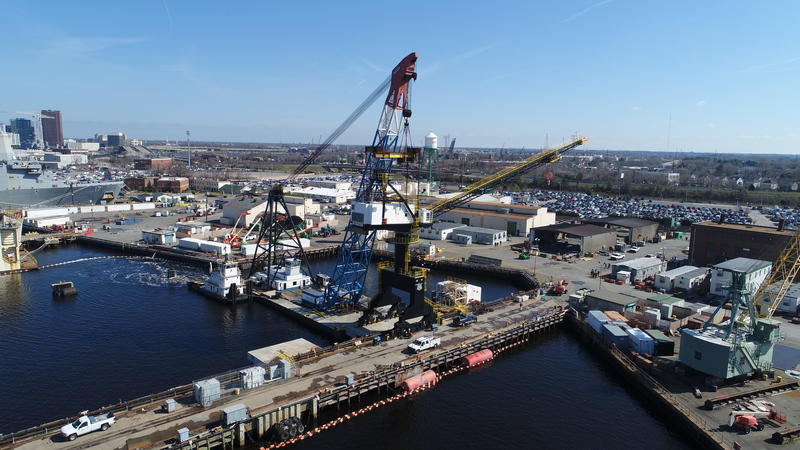 Crofton Industries was contracted to orchestrate the assembly of a two-piece gantry crane. 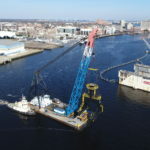 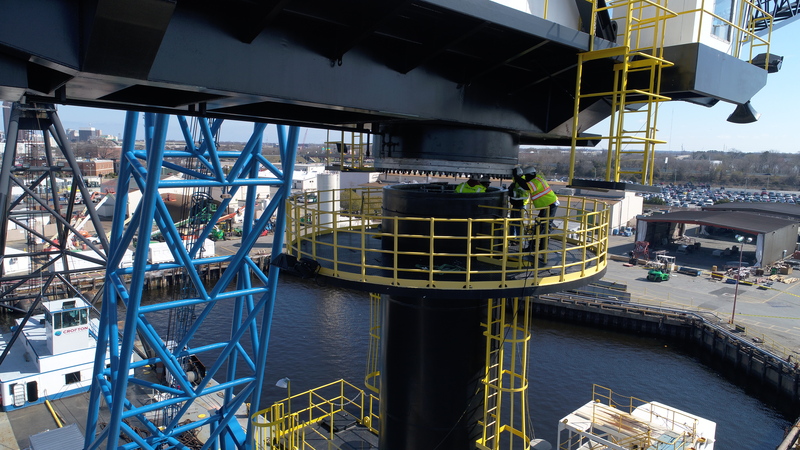 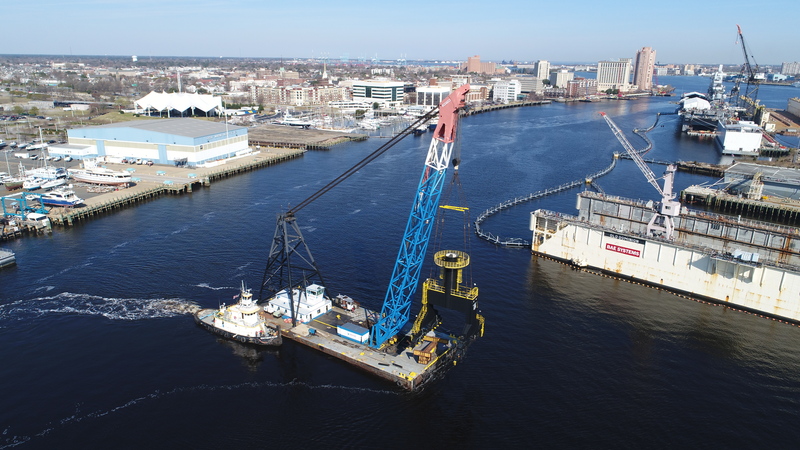 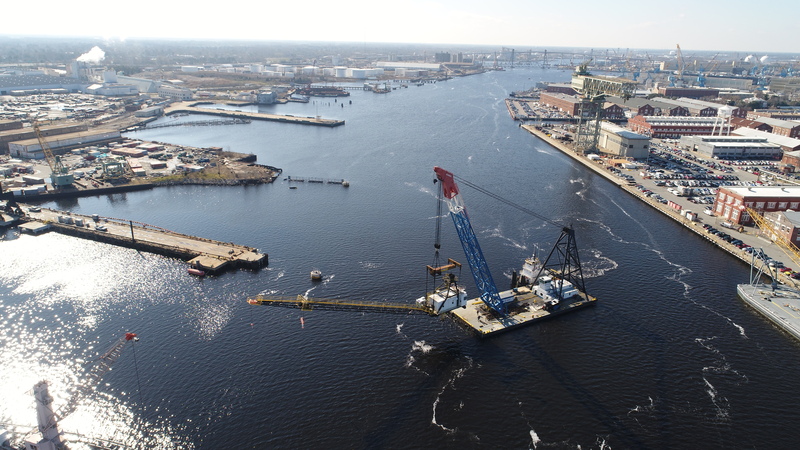 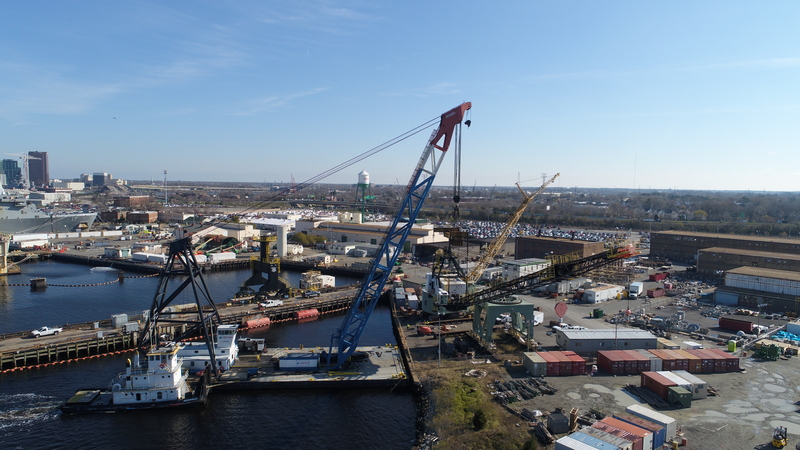 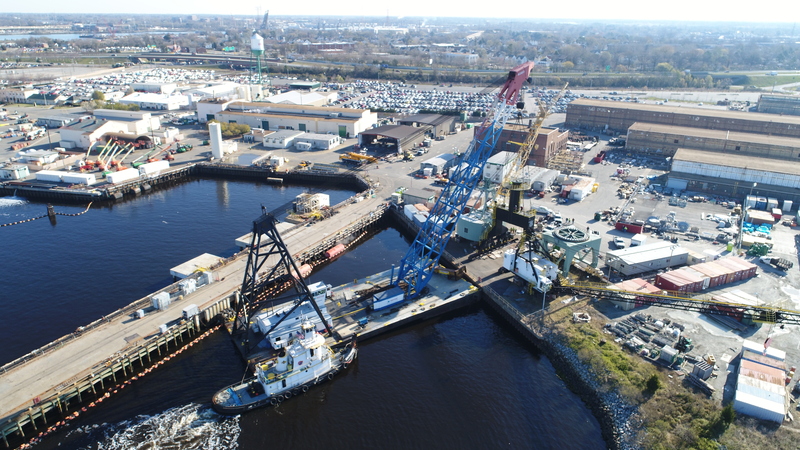 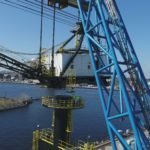 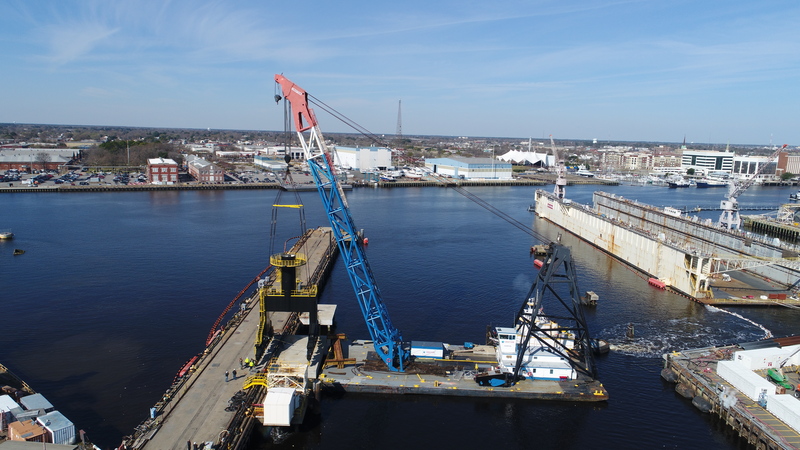 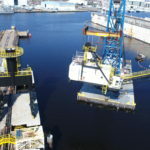 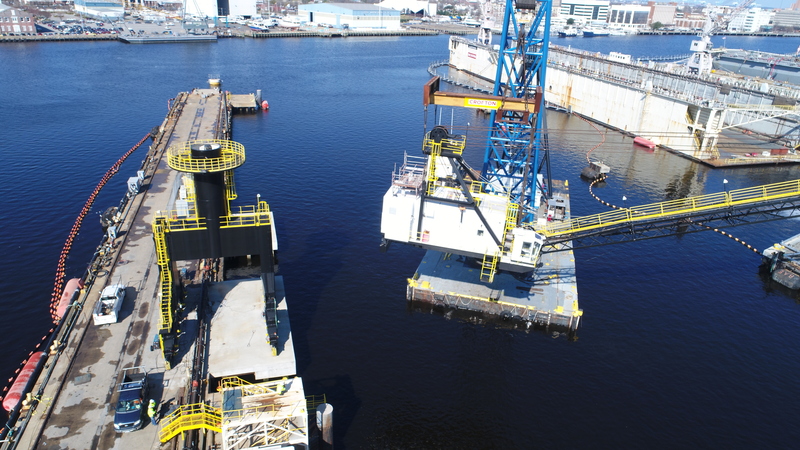 Each piece was lifted, transported, and placed in it's new location using Crofton's 350 floating crane derrick, The Samson. 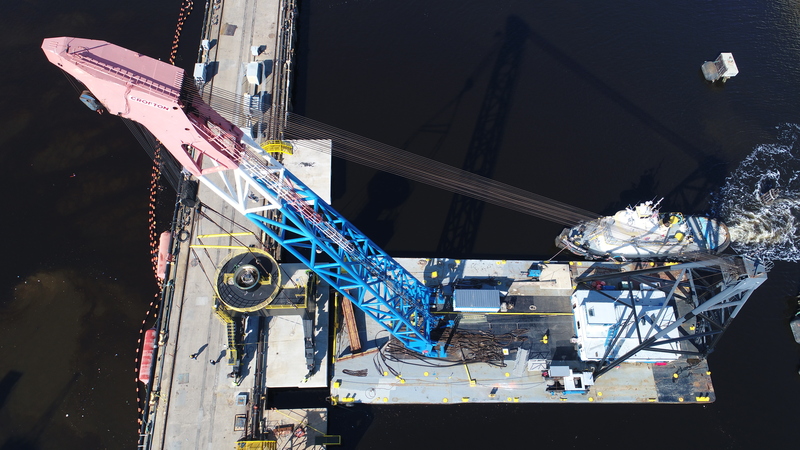 The lower piece weighed 205 tons and the upper piece weighed 225 tons. 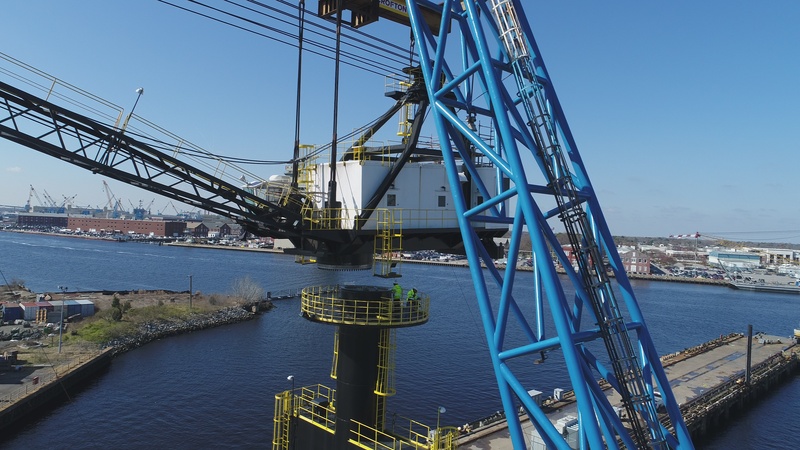 Learn more about "The Samson". 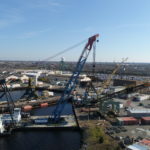 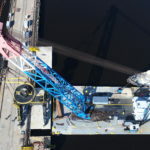 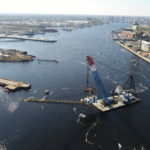 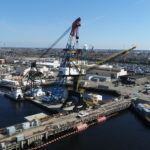 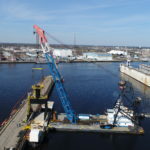 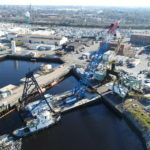 Crofton's 350-Ton Floating Crane Derrick, "The Samson"